Lextar would like to thank our distributors, clients and collaborative partners for their business, support and trust throughout 2015. We wish all a prosperous year ahead. Lextar’s 2015 was a positive year all-round. The release of TRACAM-HD, production of REDi-lite‘s day/night skylight Spectra range and the filing of Pesense Termite Detector patent just to name a few. Lextar’s focus for 2016 is to strengthen it’s “innovation through collaboration” business strategy, while progressing the marketing and product development of TRACAM-HD. 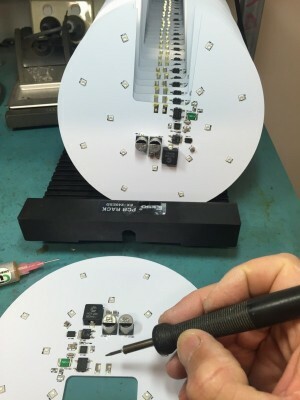 Lextar most recently collaborated with RMS Parts to firstly develop and then manufacture a transitional LED pool light solution for a high profile pool component supplier. The LED pool light project brought together Lextar’s R&D product experience along with RMS’s industry relationships and component supply capabilities. The aim was to deliver a cost effective solution to enable the client to re-enter the LED pool light market. The RMS collaboration is expected to grow through 2016. If you are looking to progress your unique industry based product concept but you do not have an R&D department then we may have a solution. Contact us at info@tracam.com.au. We look forward with optimism to 2106 and what it may bring.